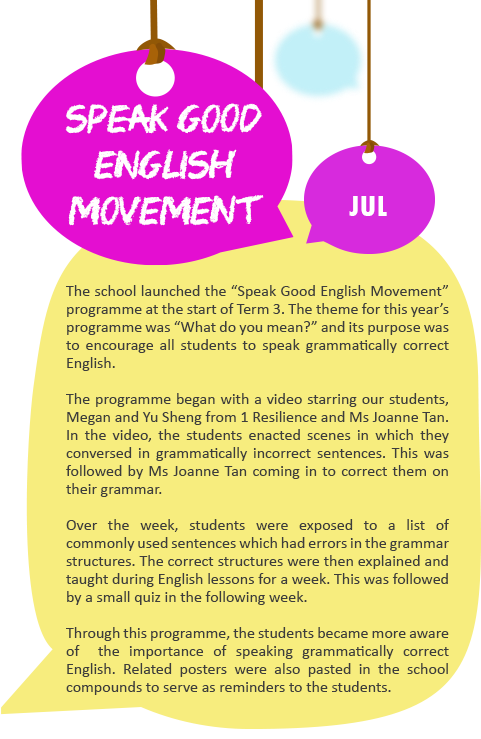 Alexandra Primary School organised its inaugural Mother Tongue Languages (MTL) Learning Journey for the Primary One students on 3 July 2014. 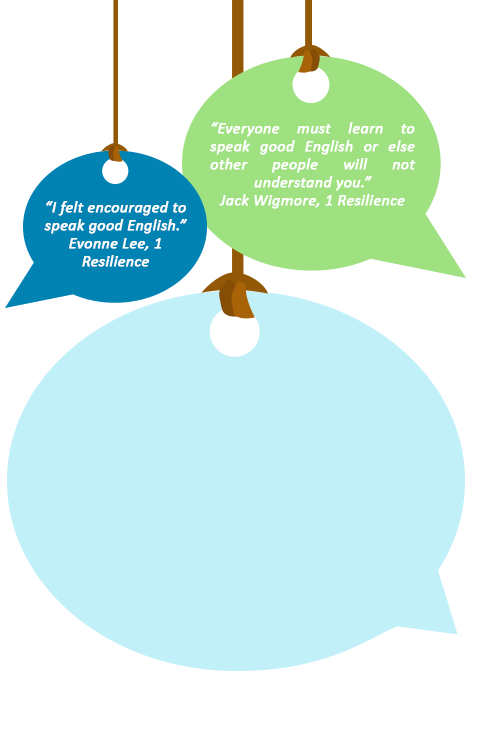 This learning journey provided the platform for the students to use their respective Mother Tongue languages and learn more about their ethnic cultures within authentic contexts. The Chinese students had the privilege of watching a Chinese theatrical performance of “Nini in Changi Village” at Laselle College of the Arts. 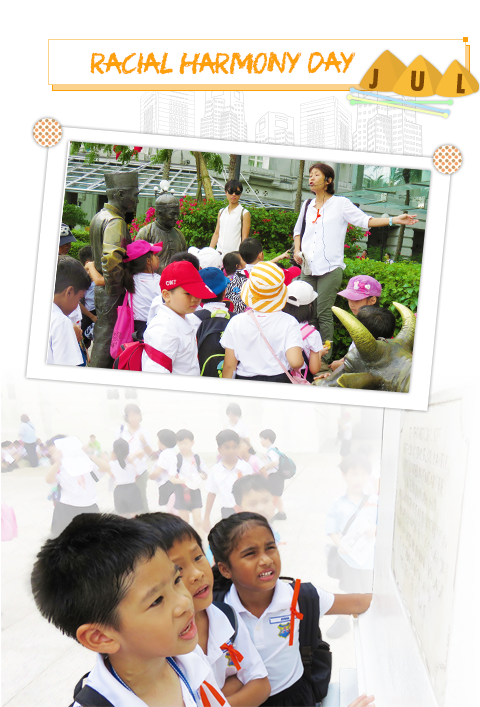 The Malay students enriched their knowledge of the Malay cultures through a guided tour at the Malay Heritage Centre. The Amazing Race at Little India provided the opportunity for the Indian students to make use of the Tamil Language in an authentic environment. As part of our school’s Racial Harmony Day commemoration, students embarked on an enriching and engaging learning journey to the Singapore River. 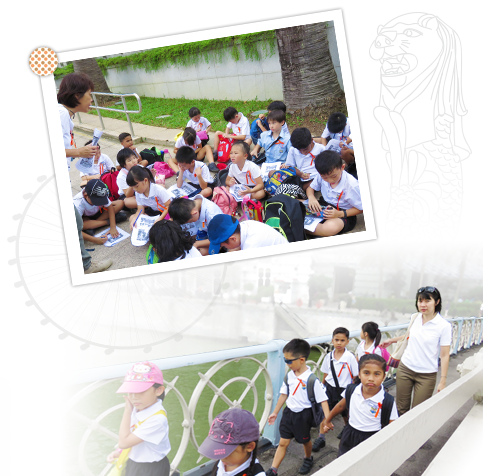 Students learnt about the role of the Singapore River and the people who lived around it which led to the development and progress of modern Singapore. Various sculptures found along the river portrayed their livelihood then. The learning of the different modes of transportation was also reinforced during this learning journey. 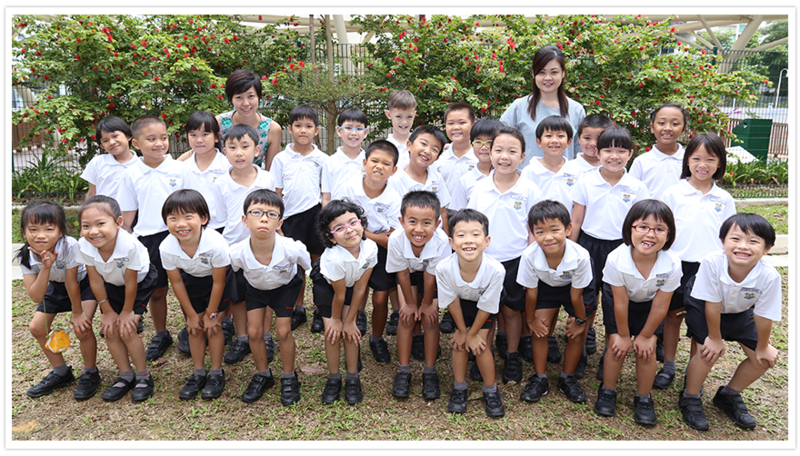 Every student put on an orange ribbon to commemorate the importance of racial and religious harmony in Singapore. 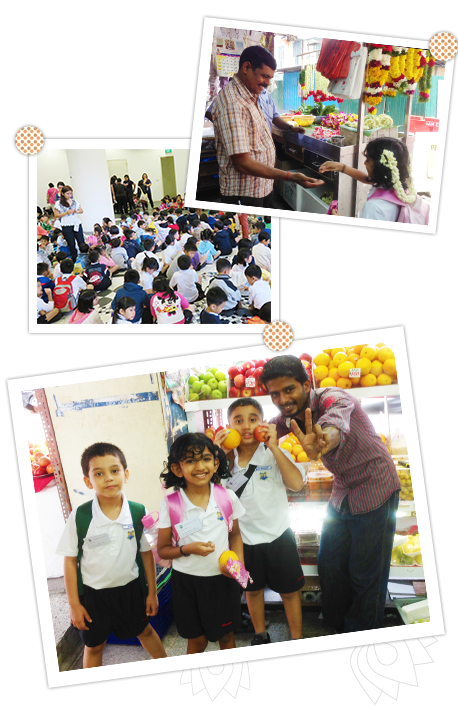 It was a fruitful journey for our students.